In March 2008, one Michael Horvath of the US Army Counterintelligence Center within the Cyber Intelligence Assessments Branch considered the risks posed by WikiLeaks in a 32 page document. Created under the auspices of the Department of Defence’s Intelligence Analysis Program. The overview suggests, importantly, the interest shown in Assange by the defence wing of the United States at the time it was starting to make more than a generous ripple across the pond of information discourse. Importantly, it suggests a direct interest of the military industrial complex in the activities of a guerrilla (read radical transparency) group. The question it asks remains a source of ongoing interest and curiosity about the role played by WikiLeaks in the information wars: “Wikileas.org – An Online Reference to Foreign Intelligence Services, Insurgents, or Terrorist Groups?” The answer is implicit in the text: its all of the above. The document remains salient for the persistent strategy adopted against WikiLeaks and its chief publishing head throughout. To avoid the integrity and credibility of the information, target the man, the organisation and the method. Suggest he is wonky, a crank, generally wobbly on principles and ethics. Suggest, as well, that his reputation is questionable, as are his moral inclinations. The centre of gravity here is a critical point. It is one that is being persistently targeted, using Assange as convenient focal point of derangement, treachery and both. The memo from Ecuadorean officials from October last year was a laundry list for model good behaviour, effectively the conditions of his continued tenancy in the embassy, along with using the internet. Press outlets saw it as lunacy taking hold. He had to refrain from “interfering in the internal affairs of other states” and activities “that could prejudice Ecuador’s good relations with other states.” His pet cat also had to be looked after lest it be banished to an animal shelter. Sanitation was also noted. Each granular detail of his fate garners international headlines in an ongoing battle of attrition. Will he step out? Will he seek medical treatment he urgently needs? What will the local constabulary do? Statements from the Metropolitan Police and the Foreign and Commonwealth Office suggest that he will be medically tended to but will also have to face the charge of violating his bail conditions when he entered the Ecuadorean embassy in 2012. Once that door opens, the narrow horizon to a US prison cell becomes a realistic prospect, even if it is bound to be a protracted matter. The recent turn has also excited commentary, though it is not the same mould as the cudgel like recommendations of the 2008 DoD memo. The Australian dissident figure of the publishing world has been granted a passport by the Australian authorities. This was something, if only to suggest that those in Canberra, previously keen to see Assange given the roughing over, had warmed somewhat. In 2016, the then Australian foreign minister Julie Bishop had, at the very least, offered Assange what he was due: consular assistance. While the grant took place either last September or October, confirmation of its existence was revealed in a Senate estimates hearing. 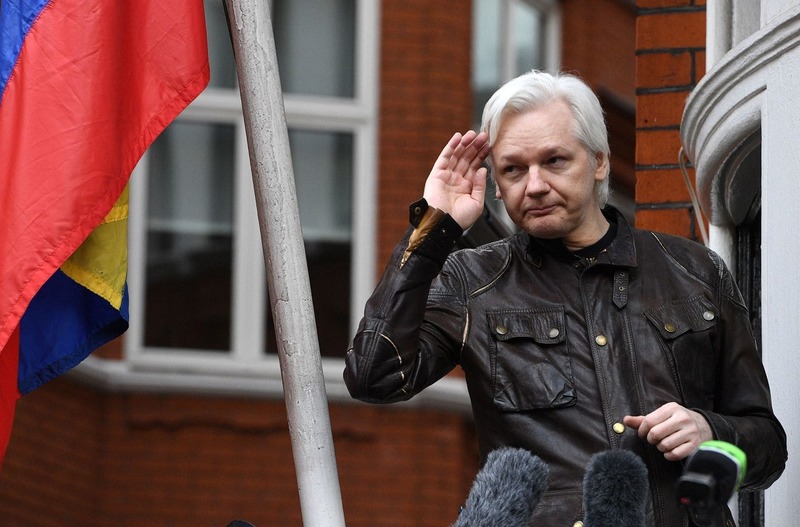 Australian Senator Rex Patrick of the Centre Alliance pressed officials from the Department of Foreign Affairs and Trade whether they had engaged their US counterparts about possible safe passage for Assange in the event he left the embassy. There is an element of dark farce to this. To show that he was eligible to receive a passport, he had to show that he did not face a serious foreign offence. But pieced evidence revealed thus far demonstrates that a US prosecution assisted by a range of security agencies has busied themselves with making sure he does face such an offence. Thankfully, WikiLeaks has not been able, in their quest for a totally transparent record, to find any relevant corroborating indictment, a point that seemed to seep through the Senate estimates hearings. In such cases, ignorance can remain, if not blissful, then useful. Assange is a Degenerate and one of the Fascist Boys….he will walk because he is useful for propaganda for the Fascists.